The 35 facts about iPhone X (last updated on February 2019). This post is not so much a review, but rather share facts about iPhone X that you’d want to know about before making a purchase. Some are fun facts, some are just facts. After the Apple event a couple days ago, I thought it was time to update this post. … iPhone X is no longer Apple’s flagship device. This article will basically dispel myths that were produced by the 5-minute iPhone X review articles (back in 2017). I myself first published this article in 2017. This content had to be rewritten and shortened several times because Apple managed to fix many of the “bugs” that the first buyers of the iPhone X encountered. According to Digital World Beauty, iPhone X gets a rating of 9/10. Here’s an overview of what to expect in this post (click to jump to the section you want to read about). Before we get into details, let’s quickly review iPhone X pros and cons. Click here to read reviews on iPhone X made by other people. Alright, let the fun begin! 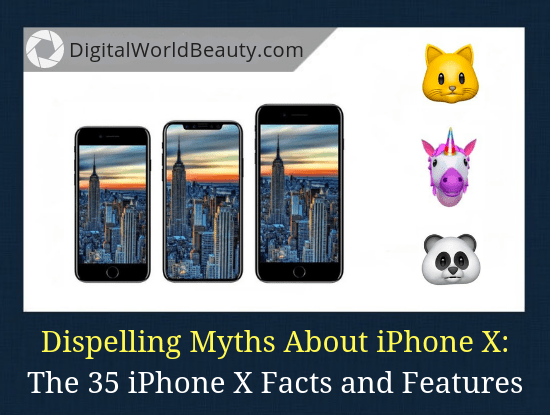 The 35 iPhone facts and features in detail. It is the most expensive iPhone in history. The 256 GB iPhone X will cost you around $1,400. The 64 GB will cost you around $1,300. 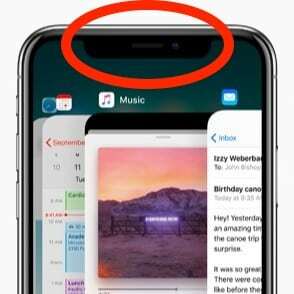 2. iPhone X – “iPhone 10” (as in number 10), not “iPhone X” (as in letter ‘X’). Mac OS X is also Mac OS Ten (the #), not Mac OS X (the letter). However, that OS has already been renamed to simply macOS, and personal names are assigned to its versions: Sierra, or High Sierra. Perhaps, they should start giving beautiful names of animals, reserves and mountain ranges to iPhones too? 3. 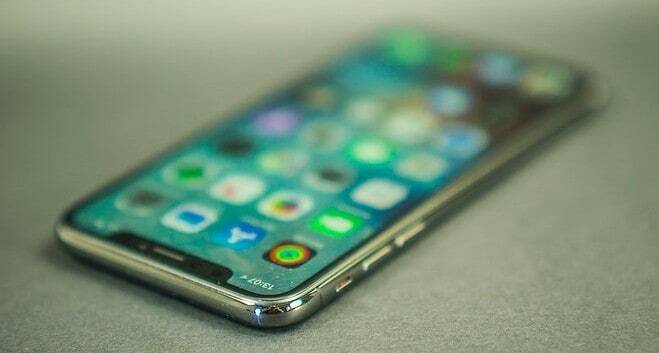 For the first time the iPhone screen is bezel-less. It wasn’t Apple which began the trend of reducing the bezels, but many people were waiting for it to join the club. The screen of the iPhone X is inscribed in the front panel borders, especially nice and nice looking neat rounding near the corners. … And based on the figures, iPhone X is not a leader. 4. A black notch on top of the screen. The center of the top edge of the iPhone X screen is occupied by the front camera module and the face scanner. The “bangs” look really strange, and positive iPhone X reviews can be the result of the Stockholm syndrome or simply the adoption of the inevitable. After all iPhone X is the best of the iPhone (for now). The upper part of the screen in iOS is used only for a few indicators, so the loss is really small. Again, the boundaries of this notch are neatly rounded. There is another version that with this design Apple returns the recognition to the iPhone in the crowd. All smartphones have become similar to each other. Whereas smartphone with “bangs” is the only one out there. 5. In the status line, there is even less (unnecessary?) information. iOS, unlike Android, does not keep a million annoying notification icons in the status bar and does not allow third-party applications to enter this clean zone. and optional, a battery icon with the remaining power in percent. Now with iPhone X subtract the operator, Bluetooth, headphones and battery percentages (see below). With the latter, it is definitely not easy. 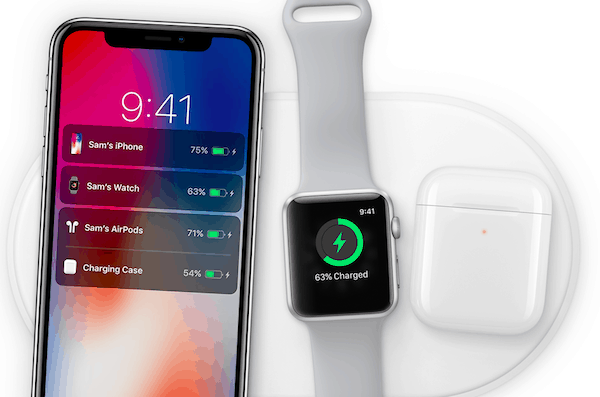 To estimate how long the iPhone X has to live, you need to go to the notification center and swipe to the right, and there will be information on the batteries of everything that is connected to the smartphone. Not very convenient, but it disaccustoms to fill your head with all these numbers. 6. Most apps are not yet optimized for iPhone X. How the existing application will work on the iPhone X, depends on the diligence of the developer. In all built-in iOS programs, the interface elements are noticeably removed from the top edge, sometimes it’s not too cute. Most third-party software looks OK on the iPhone X, some programs have small problems due to the sticking of buttons at the very top to the edge of the display, so it’s hard to get them to work. “Support for iPhone X” is among their improvements. 7. Samsung produced the screen for iPhone X, but it is configured better than in Samsung smartphones. Samsung is the leading manufacturer of OLED-screens, so it is no wonder Apple went to the Koreans to get that display. But if you compare the iPhone X and Samsung Galaxy S8+, then the first wins at a screen setting. In addition, iPhone X can produce brightness up to 694 nits, and S8+ is only capable of doing so of automatic mode under very bright light, and for a short while. By the way, on the screen of iPhone X, the very PenTile is used (more precisely, here is Diamond Pixel) – a special configuration of sub-pixels of different colors, from which the points are added. People are divided into two types: those who do not see the PenTile, and those who think they see it. 8. The iPhone X screen burns in, but you will not get to see it. OLED-screens have been used in smartphones for many years, and their features have long been known in comparison, for example, with IPS. Yes, OLED-screens burn in – the brightness of emitting dots, tiny organic light-emitting diodes decreases. And sub-pixels of different colors burn out at different speeds, the blue dots die faster than others. But the good news is that the speed of this degradation is so low that your smartphone (iPhone or any other device with OLED) will simply die or appear in the box before its screen fades. If you use a mobile phone 10 hours a day (which is a lot), and use it for a year, then the combined time will be 3650 hours. A decrease in the brightness of the pixels becomes noticeable after tens of thousands of hours of operation. But in general – yes, OLED-screens do burn in. And the backlight of IPS-sensor. If a smartphone is used as a navigator in a car, then on the part of the screen for a long time the static part of the interface will be displayed. 9. iPhone X the size of the iPhone 8, and its screen is larger than that of the iPhone 8 Plus. Framelessness is not only beautiful, but also compact. Huge screen in a small body. The diagonal of the iPhone X display is 5.8 inches, and the iPhone 8 Plus has “only” 5.5 inches. Though the “X” has a slightly different aspect ratio, and its screen is narrower than that of “Plus”. 10. iPhone X is now doing just fine in the cold. In the beginning, the screen would simply cease to respond to pressing if you were to go out into the cold. Apple then recognized the problem and promised to fix it programmatically. As a result, Apple released iOS 11.1.2, in which this bug was completely fixed. In just a week! 11. The screen does not flicker. Even at the minimum brightness. Even if you look with your side vision. No, the iPhone X screen does not flicker. 12. At an angle, the screen is “blueish”. And this is a feature of OLED-screens. All of them at a significant angle change the shade to a colder one, than if you looked at the screen at a right angle. 13. There are no “bangs” in the screenshots. If you make a screenshot, then it will not have a black notch, this area will be the same background as the “ears”. 14. There are only two colors, but both are excellent. iPhone X is available in black and white colors (in our language), or in colors “space gray” and “silver” (n Apple language). Black gets noticeably spotted, but in this version, the shiny side corners look more harmonious, and in general it looks more solid. White color is more practical if you carry a phone without a case. And with the case, they do not differ from each other at all – a thin frame around the screen on the front side of both versions is black. I think the red iPhone X PRODUCT(RED) would’ve been bomb. 15. No more hand-size “discrimination”. There is no iPhone X Plus. or a cool camera with a portrait mode. Now only it’s one iPhone X. 16. Intuitive gestures instead of the Home button. To collapse the application, you need to swipe your finger from the bottom edge up. To switch to another program – flip over the bottom edge. 17. Gestures are more convenient than the Home button. Sometimes they even speed up the work. Flipping the screen to another application is very convenient and fast. 18. iPhone X – the fastest smartphone in the world. God knows how this works for Apple, but the guys again made the most powerful mobile processor. Chip A11 Bionic outranks its main competitor – Qualcomm Snapdragon 835. MediaTek last week decided to withdraw from the upper segment, and the recent Huawei/HiSilicon Kirin 970 proved to be weaker than its competitors (the company justifies this with attention to artificial intelligence – it’s supposed to level the gap of the chipper). I don’t understand why the manufacturers of Android-smartphones give flagships the ability to charge without wires, and then they refuse it. 20. Supports fast charging with the wire, but you need an expensive adapter. Everything is exactly the same as with the iPhone 8. It can be charged very, very quickly with high current and high voltage, but you need a special charger – from a MacBook, with a USB-C port. So, if you want to fast charge your iPhone using an adapter, first you need to get Apple USB-C to Lightning cable. 21. The front camera is more than just a camera. With some stretch, we can say that Apple has shoved a whole Kinect from the Xbox into the iPhone X. A set of sensors, including an infrared emitter and sensor, builds a three-dimensional head model of 30,000 pixels. Not a flat picture or even a picture in the invisible range for the eye, but a 3D view. 22. Face ID really can be fooled. Apple confirms that a random person will be able to unlock your iPhone X with a probability of 1 to a million, but stipulates that the likelihood of errors for relatives and children is higher. We checked Face ID with twins. Their parents are not sure that daughters are identical twins. Girls are very similar, but it’s not so difficult to discern them. We scanned the face of one of the sisters and gave it to another. The reverse experiment also gave a positive result. In general, the protection is reliable, but there are nuances. Perhaps you will be reassured by the fact that if iPhone X does not recognize its owner three times in looking at it, then it will require entering a password manually. 23. Face ID is fast, but you need to look at it. Face recognition works very quickly. … And at this time the magic has time to start and end, the lock on the display opens right under your finger. As an additional protection against unauthorized access, Face ID requires you to look at the screen while unlocking. In life, this protection steals little time, literally a fraction of a second. This feature, however, distracts from the road if you are driving. Yes, you shouldn’t use the phone while driving, but everyone still does it. 24. Face ID works in the dark. I will repeat that Face ID uses not a photo, but a three-dimensional model, shot by an infrared scanner. It doesn’t matter how dark the room is and how bright the screen is burning. iPhone X still sees the face. 25. All applications that worked with Touch ID will work with Face ID. When you first launch an application on your iPhone X that allows you to authenticate with a fingerprint via the Touch ID, the iPhone will prompt you to deceive it a little and switch to Face ID. The program can be old and not know anything about scanning faces, but it doesn’t matter as everything is handled by the iOS. 26. Safari does not fill the password field on the site until Face ID is on. Previously, the passwords remembered by the browser were automatically entered into the authorization fields on the sites. Convenient, but not completely safe. On the iPhone X this substitution of account data from the “Keychain” occurs on the fly, but only if the smartphone is in the hands of its owner. 27. You cannot save two faces for Face ID. With Touch ID it was convenient in a way that you could add your spouse’s fingerprint, for example. On iPhone X, Face ID remembers only one person. 28. Face ID is more convenient than Touch ID. Face ID is more convenient. Yes, maybe face recognition works a little slower. But the Touch ID worked very poorly with wet or dirty fingers, I’d have to dry/wipe them first. And still sometimes the smartphone did not recognize the pattern on the fingerprint. 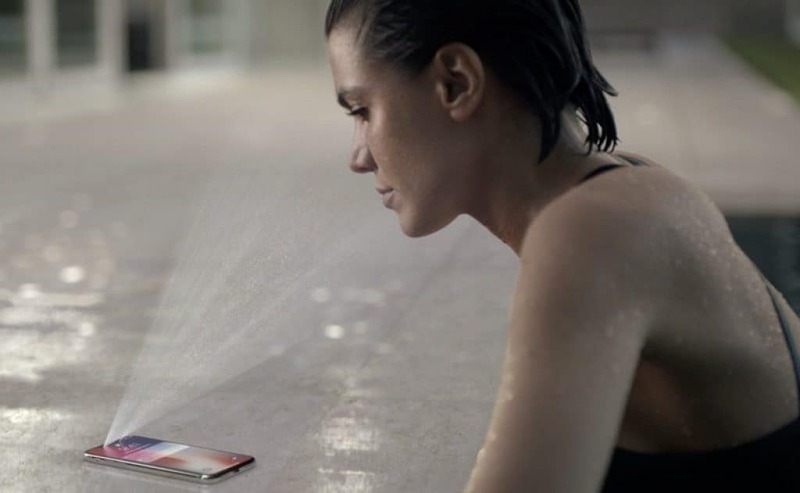 Meanwhile, my face is always relatively dry and clean, so there is no problem with getting access with Face ID. 29. Applications do not have access to your face image. All this exact, detailed information of each wrinkle and mimic muscle which can tell about you so much, is inaccessible to third-party applications. In general, the impression of the iPhone X Face ID is stored in a Secure Enclave (Apple’s term) and is not even loaded into the cloud. 30. Replacement of the screen is very expensive. Repairing the screen in the official service center costs $279 and $549 for any other damage to the device. Third-party repairers can probably fix it for a lot less but usually they experience difficulties with access to spare parts for new iPhone models. 31. The main camera is one of the best on the market. DXOMark – one of the most authoritative sites about the camera in any aspect – put the iPhone X in second place after Google Pixel 2, assigning 97 points out of 100.
but in the iPhone X the diaphragm is f/2.4 versus f/2.8 in iPhone 8 Plus. 32. Self-camera is able to make portraits with scenic light, and it’s beautiful. Portraits in the iPhone – this is a special mode in which smart algorithms and a neural network are highlighted in the image of a person, and the background is blurred. The result is an image like on a DSLR camera with a very wide diaphragm. The portrait mode already existed on the iPhone 7 Plus (but not the iPhone 7). In the iPhone 8 Plus, it was supplemented with scenic light – the face is highlighted from different sides, or, on the contrary, everything is plunged into darkness. Both Apple and other smartphone makers are using dual cameras to get the camera information on the volume. The exception is Google Pixel 2, this device relies only on the strength of artificial intelligence. The front camera iPhone X also can do portraits, working in tandem with a 3D scanner. 33. Huge camera bump on iPhone X but there is one solution. The camera stuck out from the body even in the 6/6 Plus model, but now the camera bump is huge. Earlier I wrote how much the iPhone X repair will cost, so my best advice to you is to get a case. Camera won’t stick out with a case on. 34. iPhone X allows you to turn into a talking poop (and you’d like it). iPhone X is able to impose a three-dimensional model of the face on emoji. You make faces in front of your iPhone X and the piglet on the screen repeats all the movements of the face. In total there are 12 animated emoji in the gallery, and the maximum duration of the message is 10 seconds. 35. Animoji can be sent to anyone, not only in iMessage and not only for those who have an iPhone X. Here everything is slightly tricky. You can create Animoji in the pre-installed application for iMessage. But after sending such a message, you can save it to the gallery as a video and send it via any channel: WhatsApp, Telegram, Viber etc. So, to whom you send your talking poop Animoji? iPhone X Facts and Features: Your Thoughts? It is likely that we will publish a comparison between iPhone 8 vs. iPhone X in the near future. At the moment, I can’t say if iPhone X is the best one of all. … For this amount of money you can buy 200 GB in the iCloud cloud for almost seven years (even without taking into account the inevitable reduction in the cost of iCloud over time). what was your favourite fact about iPhone X? are you excited about the new iPhone XS, iPhone XS Max, iPhone XR? If you have any questions, comments and suggestions, let us know in the comments below! Click here to jump straight to comment form to share additional (fun) facts about iPhone X.
I love Apple products and have been using them for about 10 years now. I do have an iPhone but it’s a 7s. I love it, but I’m getting ready to renew my cell phone contract in a couple months. What is great about contracts with Verizon is they usually give you a free iPhone for signing another 2-year contract with them. Certainly, hoping the iPhone 10 is one they will give me for free. I mean $1,400 is a lot of money to spend on a cell phone! I’m so glad Apple did decide to go the wireless charging route with iPhone 10. This is a dumb question but how exactly do you charge the phone without wires though? Sorry, I have no idea how I missed your comment back in December. Noticed it just now (after having my article on iPhone X facts and features updated). Wow, 10 years as an Apple customer. Definitely go for it! If your company doesn’t give you options for a free iPhone X, do consider getting iPhone 8/8 Plus (if you can). 2) Place your iPhone on the centre of the charger with the screen facing up. I know to some people it might be unusual but it’s not hard or anything.